This week’s Nintendo eShop releases for Europe are in, delivering new add-on content, demos and games for Nintendo Switch, Wii U and Nintendo 3DS – as well as plentiful discounts across all platforms. Damage dealt to enemies is doubled. Settings can be changed in the System section of the menu. All characters’ experience value gained increases by 200%. Settings can be changed in the System section of the menu. All characters’ HP, MP and abnormal statuses are fully recovered and cured after battle. Settings can be changed in the System section of the menu. Items obtained through mining are tripled. Settings can be changed in the System section of the menu. You will get 3 skips for Classic mode, 3 skips for Reflection Mode, 3 skips for Serenity Mode and 3 skips for Nature mode. You will get 5 skips for Classic mode, 5 skips for Reflection Mode, 5 skips for Serenity Mode and 5 skips for Nature mode. You will get 7 skips for Classic mode, 7 skips for Reflection Mode, 7 skips for Serenity Mode and 7 skips for Nature mode. The last 100 level mode which stars more boxy puzzles and hexagons galore with higher difficulty level. This mode contains 120 puzzles where the movements you make with shapes on one half of the screen affect the movement of shapes on the other half. This mode contains another 120 puzzles and features more curved and teardrop shapes. Grasp the power of the movie Dragon Ball Super: Broly with the Extra Pack 4. The pack includes 2 Playable Characters from the movie, as well as new elements to enhance your Xenoverse experience: 2 New characters: SSGSS Gogeta and Broly (Full Power Super Saiyan), 1 New stage, 5 New Parallel Quests, 9 Additional Skills, 2 Costumes and 15 Super Souls. Do you have what it takes to impress a god? The great Tiempochtli may have the power to help you… if you can wake him from his nap. Head from Villachula to the Badlands and discover the entrance to the Proving Grounds, an ancient temple dedicated to the luchador arts. Tackle 15 unique new challenges to prove your worth and gain entrance to Tiempochtli’s sacred sleeping chamber. Every Paladins Champion. Forever. Purchasing the Champions Pack will immediately unlock all 35+ Champions currently in Paladins. Plus, you’ll also get all future Champions as soon as they are released. If you previously unlocked Champions in Paladins, your account will be refunded the gold value for those Champions when you purchase the Champions Pack. Ride into battle atop a gleaming Obsidian Warhorse, exclusive to this great Paladins bundle! Even better: You’ll get 3 MILLION Battle Pass XP to level up and unlock sweet loot. And you’ll get 200 Crystals to unlock your favourite Skin, Emote, or Voice Pack! The Paladins Season Pass 2018 makes every game matter more! You’ll immediately unlock the current Battle Pass and the Remix Strix skin. And you’ll be on your way to unlocking even more rewards! Plus: Get 1,500 Crystals to claim your favourite Skins in the Realm, and instantly unlock the Limited rewards for Battle Pass 1 and 2. An additional pack of 30 extra large puzzles, from 25×30 to 45×35 sizes! This stunning collection of three authentic Bally tables includes Black Rose, Attack from Mars and The Party Zone. All available to play both in their classic original form and as remastered tables with updated graphics, animated toys, and a host of new features. This story features an encounter with Squad 7, the heroes of the original Valkyria Chronicles. After playing through this extra story, you will get the characters Welkin (in the tank Edelweiss), Alicia, Isara, Largo, and Rosie for use in the main game. This story can be played after unlocking the Headquarters in Chapter 2 of the main story. To access this story, go to Book Mode > Menu > Extra Stories. Get your hands on thousands of comics with a monthly subscription. InkyPen includes comics from across the globe. From big name publishers to indies and webcomics. Including comics such as Hellboy (Dark Horse), Robotech (Titan), Transformers and Judge Dredd (IDW), Sarah’s Scribbles (Andrews McMeel Universal) and many, many more. Jewel Fever 2 is an addictive match-3-puzzle-game! Three game modes: Normal, Quick and Infinite. 15 Objectives to be completed (in normal-mode or quick-mode). Combos: You can achieve more points by making combos! Oversee the development of your hero school, build structures, upgrade facilities, and manage the day-to-day activities of your students. Train your warrior, mage, and ranger students to hone their abilities and unlock powerful sub-classes such as paladin, scholar, harlequin and more! Deploy students on timed errand missions across the world or head out to take on quests with your own squad to experience the adventure first-hand. Puzzle Bobble is an action puzzle game released by Taito in 1994. Bub and Bob, the bubble spitting dragons from the action game, Bubble Bobble, are back in a new bubble-based puzzle! Skillfully bounce bubbles off the walls and match 3 or more bubbles of the same colour to erase them! Enjoy the easy to learn, but hard to master, bubble shooter puzzle game! Donkey Kong Jr. is an action game released by Nintendo in 1982. Donkey Kong has been captured and caged in his latest encounter with Mario. Donkey Kong Jr. is on his way to set him free! Skillfully utilize jumps and the cranes to avoid enemies, get to the top, and steal the cage’s key from Mario. Since each astronaut has unique abilities, complex puzzle worlds must to be mastered to find a way out. Explore many interesting locations, activate and use different mechanisms to bring the brave heroes home! This is the moment to embark on a unique journey into space! Find your way through places full of obstacles! Plant grass, flowers, trees and shear your animals’ different-coloured wool to stock up your resources! Collect happy stars, harvest wood and flower petals and use them to provide your flock with food, accessories, toys and more! Control the clouds and make it rain to ensure your sheep never run out of fresh water to drink. If your sheep feel happy and content, they’ll bring tiny lambs into the world! Donut County is a story-based physics puzzle game where you play as an ever-growing hole in the ground. Meet cute characters, steal their trash, and throw them in a hole. Raccoons have taken over Donut County with remote-controlled trash-stealing holes. You play as BK, a hole-driving raccoon who swallows up his friends and their homes to earn idiotic prizes. Join the fun in this wild fishing action and rush across the seven seas. Fly fishing is boring! Grab your guns and explosives and let’s catch some fish REDNECK STYLE! Forget about idyllic ponds, or beautiful coral reefs. Dynamite Fishing – World Games will ship you to the best fishing spots all over the globe including an awesome jungle adventure! Choose your favourite characters and boats, explore the most daring scenarios and catch as many fish as you can. Perched high atop a mountain, it’s your job to look for smoke and keep the wilderness safe. An especially hot, dry summer has everyone on edge. Your supervisor Delilah is available to you at all times over a small, handheld radio—your only contact with the world you’ve left behind. But when something strange draws you out of your lookout tower and into the forest, you’ll explore a wild and unknown environment, facing questions and making choices that can build or destroy the only meaningful relationship you have. It’s time to get moving! 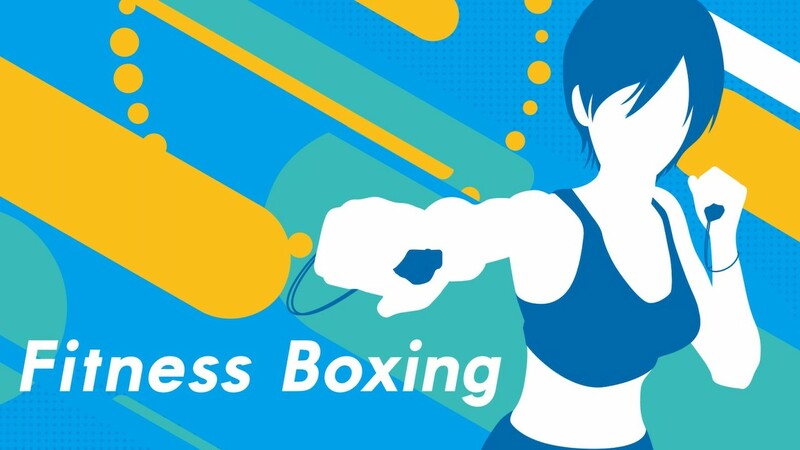 In Fitness Boxing, you can participate in boxing-based workouts while bopping along to instrumental versions of some popular music hits! Whether it’s becoming more fit, improving general well-being, targeting specific areas of the body, or simply getting active with a friend, grab a Joy-Con (or two!) and box to the beat as you work towards the fitness goals you’ve set. Your very own fitness instructor will provide encouragement during your workouts, and guide you through the poses and motions…until you master them all! Easy to play alone and fun with a friend, this puzzle game is great for beginner or veteran alike. The rules are simple: gather up three of the same Funghi to make them disappear. Funghis will sprout on the log depending on how many blocks you’ve cleared. When the log is full, the Funghis will be loaded into a box, earning you points. Guess the Character is a two player guessing game. Each player starts the game with a board that includes cartoon images of 24 people. The game starts with each player with a random character from the board. The object of the game is to be the first to determine which character one’s opponent have. Hardway Party is a fast-paced arcade game. Unlock over 50 unique cars and over a dozen worlds. Play with up to 3 of your friends in versus mode or crazy survival mode. If that’s not enough, show off your skills in 6 differently-themed missions. Let’s get the party rollin’! The player controls a ship in the centre of the screen, enemies approach from the top and bottom and the player is able to switch up and down to deal with the encroaching hoard. Different enemies react differently when they reach the horizon, some sit on the horizon, some destroy sections of the horizon and some run up and down the horizon. The player is equipped with a dash attack where they can knock enemies off the horizon and smash them into other incoming enemies for a score bonus. Dashing an enemy of the line refills the dash metre allowing for ‘Dash chaining’, this is where the big points are scored. Two royal knights, Edmund and Randall Ulmer, are tricked into a conspiracy against the crown. Pursued by the royal guard and ruthless conspirators, the brothers embark on a dangerous journey that will uncover the kingdom’s shameful secrets, restore the honour of the Ulmer family and change their fate forever. Embrace a unique one-button gameplay, lovable characters, a wonderful art style and a captivating soundtrack. Play the adventure alone or with a friend as a team in a cooperative mode. Once this is over, a hard mode will keep challenging you! Explore a dreadful dungeon and fight smart enemies that will plan and collaborate between themselves to defeat you. The aliens are coming! The life of your crew is in your hands. Can you defend your ship from the pesky invaders? Take control of a powerful Combat Mech and take them head on! Upgrade your abilities and weapons to be able to stand your ground against increasingly more overwhelming enemy assault. Show off your combat skills, reflexes and endurance. Remember: even the smallest mistake can lead to an abrupt end of your adventure! A romance visual novel game made in collaboration with D3P Otomebu and Red Entertainment, two companies known for their creative range and production of heavyweight visual novel games. Character design and illustrations are by the popular illustrator Teita. The romance revolves around Ninjas who have lived through the Sengoku Period. The story is set in Japan soon after the Sengoku Period. Follow the romances between the protagonist and other main characters through a compelling tale of conflicting loyalties. The ultimate Paladins experience. The Digital Deluxe Edition includes the Champion Pack and the Season Pass 2018. Enjoy every current and future Paladins Champion — forever. Instantly unlock all three Battle Passes for 2018 and get sweet loot all year long. Plus, we’re throwing in 1,500 Crystals that you can use however you want in Paladins. There’s no better deal in the Realm. Party Arcade is a family-friendly party game. We are creating a virtual modern arcade starting with 13 games (with more to come) where players collect tickets, unlock different equipment skins, and battle against family/friends at home or online across the world! With 13 games, a ticket system which rewards players, customizes their equipment look, and allows them to compete with others around the world, the goal is to make Party Arcade the premier party game experience for any platform or console! By turning over the panel and sandwiching the others like Reversi, you can see various actions such as making footholds, erasing obstacles, beating and dropping enemies. Make full use of the actions and solve puzzles to get to the goal! After a global apocalypse, you take on the role of protecting four family members living in a deserted underground shelter. Their well-being and survival are your responsibility. One bad decision and a loved one is gone, forever. Confront hordes of terrifying enemies in an ever-changing world inspired by the works of H.P. Lovecraft. Sundered is a challenging and unique take on a classic genre from the creators of Jotun, now with local co-op! You play Eshe, a wanderer in a ruined world, trapped in ever-­changing caverns filled with hordes of terrifying enemies. Harness the power of corrupted relics to defeat gigantic bosses, at the cost of your humanity. Resist or embrace. Enjoy a new “couch game” with your friends and family, presented by the publishers of the best-selling Astro Bears Party. No luck, just skill and rage! Hilariously intense multiplayer battle arena! You only have one ammo to defeat your opponent. Miss your target and you will have to pick it back up or steal your enemy’s! 99Seconds, a fun, retro-style video game, where you can modify time to avoid all kinds of dangers. After finishing off Black Eye, V-99 entered a mysterious zone called Bit 8, without knowing why V-99 could modify time!. But everything became complicated with the appearance of the BLACK VECTORS: mysterious beings that aim to destroy any intruder who reaches Bit 8. Doodle God: Evolution is a unique edition of the well-known game that includes not only the classic Doodle God, but Doodle Farm as well. And now, in this addicting all ages game, not only fire, earth, water and air but also plankton, mammals or birds will be at your disposal. Mix and match different combinations of elements to build an entire civilization and re-create the evolution of the animal world! Fight through the enemy’s army and collect pieces for a secret weapon to destroy their underground artillery base. Assume the reins of a mega-conglomerate to build your very own metropolitan utopia! Stores, houses, mansions–towers! The sky’s the limit as you fashion your humble burg into the world’s most powerful fiscal force! Place compatible structures near each other to craft specialty districts or “combos,” adding flavour to your town while reaping big bonuses and boosting Land Price! A nightmare? Before Christmas? With thousands of blocks over there. And more redstone than I can bear? Looks scary, but also fun! Could it be I got my wish? Should I play, or should I run? A Christmas pack so nightmarish! Using easy to use tools on your Nintendo 3DS, you can design images as simple or as complex as you like. Experiment, and create characters and scenes based on your favourite classic video games, or draw straight out of your own imagination!